The federal health department’s lack of knowledge related to the dangers of tobacco smoking – as late as 1988 – helped persuade a Quebec judge the tobacco industry knew the public was not fully informed. The judge’s $15.6-billion award this week to one million cigarette smokers and their heirs in a class-action lawsuit against three tobacco companies suggests the challenges ahead for the industry in similar cases from smokers and provincial governments already in preliminary stages across the country. What was the key issue in the lawsuit? Whether the tobacco companies trivialized or denied the risks and dangers of smoking and conspired to impede smokers from learning the true risks. Weren’t the smokers in the Quebec class-action lawsuit aware of the dangers of smoking? The period covered by the lawsuit began in 1950 and stretched to 1998. Knowledge of smoking’s dangers was far from universal, especially early on, according to the testimony of polling expert Christian Bourque. A survey called the Canadian Tobacco Market at a Glance found that, when asked if “smoking is dangerous for anyone,” 48 per cent said yes in 1971, and 79 per cent said yes in 1991. What did the tobacco companies argue in their defence? Three experts hired by the tobacco companies said the dangers to health were part of Quebeckers’ common knowledge in the 1950s or 1960s. The source of the public’s awareness is irrelevant, the companies said. What matters is that people know the risks. The duty to warn does not mean a duty to persuade. What did the court find? How did the judge set the damages? The court awarded “moral” damages (for harm caused by wrongful conduct) and “punitive” damages (to set an example), but not compensation for lost income due to illness. Moral damages for those with lung and throat cancer were $100,000 per person; for those with emphysema, $30,000. Nearly 100,000 people in the lawsuit had one of those diseases, so the total came to $6.8-billion. With interest, plus $800-million in punitive damages, some of it payable to nearly one million addicted smokers who did not develop a serious disease, the total reached $15.6-billion. Imperial Tobacco had to pay more than Rothmans, Benson & Hedges and JTI-Macdonald partly because of “bad-faith efforts to block court discovery of research reports” by sending them to outside counsel, who eventually destroyed them [SHRED? SHRED? SHRED? ], the judge said. Why did the judge award punitive damages? What does the ruling mean for future lawsuits? In a ruling described as “historic” by one lawyer, a Quebec judge has ordered three major cigarette companies to pay $15 billion to smokers in what is believed to be the biggest class-action lawsuit ever seen in Canada. “These three companies lied to their customers for 50 years and hurt their right to life,” Andre Lesperance, one of the lawyers involved in the case, said Monday. For Lise Blais, the judgment was bittersweet. One of the two lawsuits that eventually merged into one was filed by her husband, Jean-Yves Blais, shortly before he died of lung cancer in September 2012 at the age of 68. The widow attended a news conference in Montreal after the ruling was handed down and she urged people to quit smoking. “Your health is completely lost,” she said as she clutched photos of her late husband. In an interview in March 2012, Blais said he had tried to quit “five or six times in the last 14 years,” although some of the remedies triggered depression. “I smoke a little more than one package a day — maybe 30 cigarettes a day,” he said. Quebec Superior Court Justice Brian Riordan’s long-awaited 276-page decision was made public following years of testimony and another six months of deliberations. The three firms will split the $15.6 billion according to responsiblity set out by the court — 67 per cent will fall to Imperial Tobacco ($10.5 billion), 20 per cent to Rothmans, Benson & Hedges ($3.1 billion) and 13 per cent to JTI-Macdonald ($2 billion). The judgment calls on the three companies to issue initial compensation of a total of more than $1 billion in the next 60 days, regardless of an appeal. The judge will decide at a later date how to distribute those funds. Riordan squarely denounced the firms’ actions. “The companies earned billions of dollars at the expense of the lungs, the throats and the general well-being of their customers,” he wrote. All three Big Tobacco firms reacted immediately to Riordan’s ruling and said they’ll appeal the decision. The Quebec case marked the first time tobacco companies had gone to trial in a civil suit in this country and involved two separate groups of plaintiffs: some who became seriously ill from smoking and others who said they couldn’t quit. More than one million Quebecers were represented and argued the companies were liable because they knew they were putting out a harmful product and hid the health effects of tobacco. Initially the lawsuit was valued at $27 billion and included 1.8 million Quebecers, but a 2013 ruling changed the definition of who could qualify and lowered the amount to $17.8 billion. It was considered the biggest class-action ever seen in Canada. “Today marks an important day for the victims of tobacco who have waited almost 17 years for this moment,” said Mario Bujold, executive director of the Quebec Council on Tobacco and Health. Since the 1950s, Canadians have had a very high awareness of the health risks of smoking, the company noted. That awareness has been reinforced by the health warnings printed on every legal cigarette package for more than 40 years. Imperial Tobacco added its disapproval Monday. “We believe there are strong grounds for appeal and we will continue to defend our rights as a legal company,” said Tamara Gitto, vice-president law and general counsel for Imperial. Cecilia Letourneau filed on behalf of the province’s smokers who were addicted to nicotine and remained addicted or who died without quitting. The other was filed by Blais and sought compensatory and punitive damages for smokers who’d suffered from cancer in their lungs, larynx or throat, or emphysema. The council says some 918,218 Quebecers qualified under Letourneau’s action while 99,957 qualified under Blais. The case heard from 78 witnesses over 234 days in a giant Montreal courtroom as well as several weeks of final arguments. The case is distinct from civil suits launched by several provinces to recoup health-care costs from smoking-related disease, but many of the arguments in the cases overlap. All provinces have passed laws that allow them to go after so-called Big Tobacco for health-care costs stemming from smoking-related disease and most have filed legal actions to that effect. A judge has awarded more than $15 billion to Quebec smokers in a landmark case that pitted them against three Canadian cigarette giants, an anti-tobacco lobby group said Monday. Superior Court Justice Brian Riordan’s 276-page decision was made public late Monday following years of testimony and another six months of deliberations. The judgment calls on the three companies to issue initial compensation of more than $1 billion in the next 60 days, regardless of whether they elect to appeal. The $17.8-billion lawsuit was believed to be the biggest class-action ever seen in Canada. “Today marks an important day for the victims of tobacco who have waited almost 17 years for this moment,” Mario Bujold, executive director of the Quebec Council on Tobacco and Health, said in a statement. Two of the big tobacco firms — JTI-Macdonald and Imperial Tobacco — reacted immediately to Riordan’s ruling and said they’ll appeal the decision. The third is Rothmans, Benson & Hedges. Imperial Tobacco added its disapproval Monday. “We believe there are strong grounds for appeal and we will continue to defend our rights as a legal company,” said Tamara Gitto, vice-president law and general counsel for Imperial. The trial stemmed from two cases that were originally filed in 1998 before being certified and consolidated in 2005. It began sitting in 2012. The other was filed by the late Jean-Yves Blais and sought compensatory and punitive damages for smokers who’d suffered from cancer in their lungs, larynx or throat, or emphysema. The council says some 918,218 Quebecers qualified under Letorneau’s action while 99,957 qualified under Blais. Fossil fuel companies and their allies are funding a massive and sophisticated campaign to mislead the American people about the environmental harm caused by carbon pollution. Their activities are often compared to those of Big Tobacco denying the health dangers of smoking. Big Tobacco’s denial scheme was ultimately found by a federal judge to have amounted to a racketeering enterprise. The Big Tobacco playbook looked something like this: (1) pay scientists to produce studies defending your product; (2) develop an intricate web of PR experts and front groups to spread doubt about the real science; (3) relentlessly attack your opponents. Tobacco spent millions of dollars and years of litigation fighting the government. But finally, through the discovery process, government lawyers were able to peel back the layers of deceit and denial and see what the tobacco companies really knew all along about cigarettes. 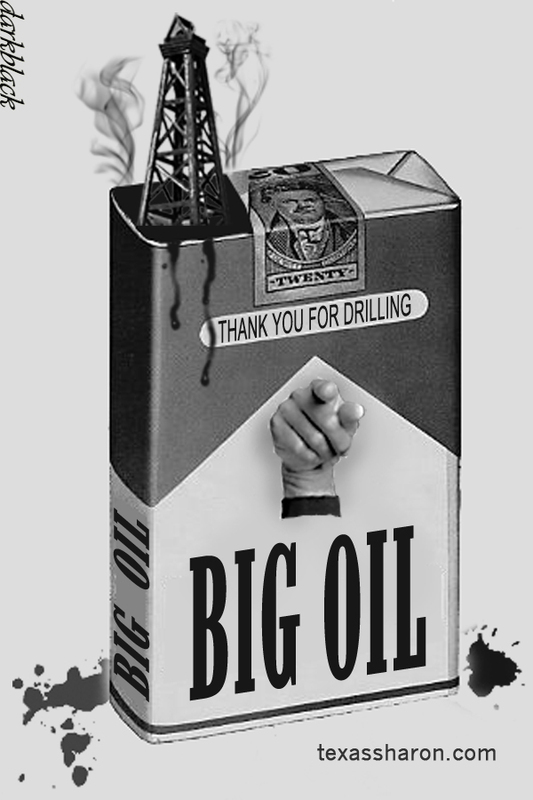 The parallels between what the tobacco industry did and what the fossil fuel industry is doing now are striking. The shape of the fossil fuel industry’s denial operation has been documented by, among others, Drexel University professor Robert Brulle. In a 2013 paper published in the journal Climatic Change, Brulle described a complex network of organizations and funding that appears designed to obscure the fossil fuel industry’s fingerprints. To quote directly from Brulle’s report, it was “a deliberate and organized effort to misdirect the public discussion and distort the public’s understanding of climate.” That sounds a lot like Kessler’s findings in the tobacco racketeering case. The coordinated tactics of the climate denial network, Brulle’s report states, “span a wide range of activities, including political lobbying, contributions to political candidates, and a large number of communication and media efforts that aim at undermining climate science.” Compare that again to the findings in the tobacco case. The tobacco industry was proved to have conducted research that showed the direct opposite of what the industry stated publicly — namely, that tobacco use had serious health effects. Civil discovery would reveal whether and to what extent the fossil fuel industry has crossed this same line. We do know that it has funded research that — to its benefit — directly contradicts the vast majority of peer-reviewed climate science. One scientist who consistently published papers downplaying the role of carbon emissions in climate change, Willie Soon, reportedly received more than half of his funding from oil and electric utility interests: more than $1.2 million. Smokers who get sick or can’t quit have no one to blame but themselves, tobacco companies argued during the first day of a landmark class-action suit that pits Quebec’s nearly 2 million smokers against Canada’s big tobacco groups. At stake is $27 billion in damages and penalties. The case is considered the biggest class-action case in Canadian history. The tobacco companies – Imperial Tobacco Canada Ltd., Rothmans, Benson & Hedges; and JTI-Macdonald — arrived at a Montreal court Monday with a slew of lawyers and public relations officials in tow. The companies said they have always followed federal rules. In recent years, the government has ordered that graphic warnings be placed on packaging and has changed the visibility and marketing rules to curb smoking. Cote pointed to a series of federal government memos from the 1960s that, she said, proved the government was aware smoking was harmful. The smokers, for their part, claim they were duped for years by big tobacco companies who misled the public with slick advertising campaigns, dubious marketing and skewed research. One of the lead plaintiffs told reporters Monday that she started smoking in the 1960s after being “programmed” by industry TV advertisements that made cigarettes seem cool. The case involves two suits; representing those Quebecers who are sick with smoking-related illnesses, and those who are addicted. The Quebec case is being closely watched in both Canada and abroad, said Rob Cunningham of the Canadian Cancer Society. “It’s very difficult for a class action to actually get to trial against the tobacco industry.Very few in the United States or the world have actually gotten to that stage,” said Cunningham, a lawyer. Lawyer Bruce Johnston, who is representing Letourneau, said the industry’s attempt to blame the government is a non-starter. Johnston said it’s the companies that are liable — not the victims or the federal government. He said nothing absolves the companies for putting out a product that, according to him, they knew was harmful but found ways to show otherwise. “Their strategy is, ‘If science is against you, then make your own science,”‘[Like the oil and gas/fracing industry does?] said Johnston, who plans to present some 300 documents as part of his case. The case involving smokers who can’t quit seeks $10,000 in compensatory and punitive damages per plaintiff. Johnston said that figure had been carefully calculated. He cited evidence that shows companies make a one-cent profit per cigarette sold. He said it’s also believed that every million cigarettes sold costs one smoker their life. “That’s how they calculate profits in the industry: $10,000 is the price for a human life for them,” Johnston said. In the United States, the tobacco industry has been walloped with legal bills.It has resolved actions by the states aimed at recovering tobacco-related health costs under the Tobacco Master Settlement Agreement. That agreement, signed in 1998, calls on the companies to pay a minimum of US$206 billion over 25 years. In 2006, the U.S. government also won a racketeering suit against the major tobacco companies. So far, legal battles over tobacco have made less waves in Canada. One other civil case that has been certified stems from a 2003 filing in British Columbia, involving light and mild cigarettes. A trial date hasn’t been set in that case and others filed elsewhere in Canada are nowhere near trial. The Quebec case took more than 13 years to make it before a judge after delays, motions and appeals. Separately, provinces are also seeking the right to pursue tobacco companies to recoup health-care costs. Four provinces have filed: British Columbia, Ontario, New Brunswick and Newfoundland and Labrador. The six others have announced their intention to file. Province unveiling tobacco reduction strategy, Advocates hope plan focuses on curbing youth smoking Where’s the frac reduction strategy?